Hand-woven of a perfect wool , the Kilim wool Rug features a dynamic pattern in a bold color scheme, making it a distinctive accent to any home. We are offering a wide range of Handloom Kilims. These rugs are Antique Washed. Available in many sizes & colors. These Rugs produced on Vertical Handlooms. 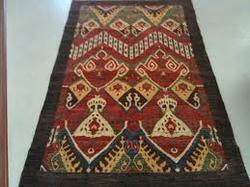 We are the leading manufacturer and supplier of Wool Kilims. we are dealing in Wool Kilims. Our range of Handmade Kilims are delicately woven by hand and are made from woolen weft worked on wool or cotton warp. The designs and patterns of our product resembles a collection of messages, beliefs and symbols and are indispensable products for interior decoration purposes or as gift items. Handmade Durries (carpet) same as a carpet Both sides same design and both sides useIn make pure Indian coutten.Strong and natural coulars.Longlife use(50years)Washble.Use home, office, garden, picnic etc use.This making on hand . Natural colour no remove, all size available, we are make custom size and design . Our range of kilim are hand woven and are made from woolen weft worked on wool or cotton warp. The designs and patterns of our product resembles a collection of beliefs and symbols. 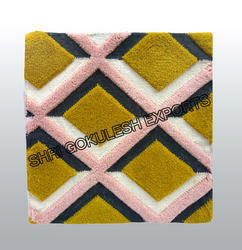 PLZ FIND DTLS OF WOOLEN KILIMS SOCK WITH JUTE WARP . we have many more designs, colours and patterns.